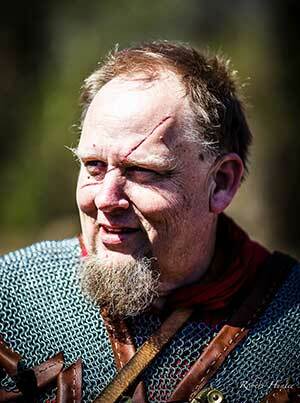 My name is Marsh Wise and I don't just create web sites, I AM a reenactor! I have been reenacting World War I for 26 years... I also reenact 1st Century Roman -- something I have been doing now for a 14 years. Lastly, I own reenactor.Net, the Online Home of Reenacting. I started out in desktop publishing, laying out and designing my unit's newsletter, then moved on to doing other reenactor organization magazines (like the old WW2 Federation's The Frontline and the Great War Association's On the Wire) and even helped restart the newspaper at the college I was attending. Since taking over reenactor.Net, I have increased its traffic to the point where it is the biggest reenactor site there is. I feel that my reenacting experience gives me the knowledge and sensitivity to know just what is "correct" and will work for a reenacting group's website! Too often, it seems to me, web designers feel a need to use flashy tricks and gimmicks, instead of just building a simple, effective website. Web visitors look for "simple," they like to be able to find things easily and not have to download the latest plug-in for their web browser--this really turns them off and they might very well click away, never to return! I have made a study of effective website design and want to help you! I am eager to get you started in this, so please, feel free to contact me at marshall@sturmkatze.com!